A full list of Music4Mums events that we are aware of, taking place across the UK....coming soon! To include your event here please contact us with all your event information. A big Thank You to everyone taking part! 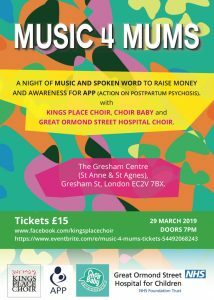 Many, many thanks to everyone supporting our Music 4 Mums initiative! And don't forget to tell us all about your event here and we can help support you with literature, collectors and materials.